Masala Bread Sandwich is one of the best and simple Indian breakfast or evening snack recipes using bread and vegetables with some masala in it which is similar to what we get in Local Iyengar Bakeries. 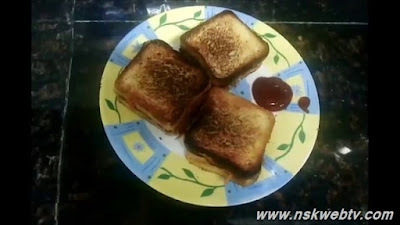 Some people call it as bread toast which can be made using bread or sandwich toaster. 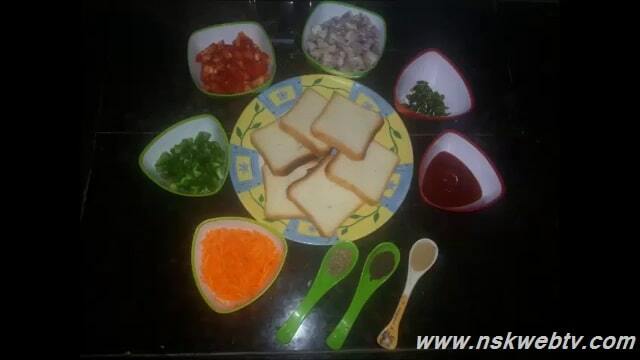 This bread toast recipe is a simple dish which can be done in 5-10 minutes if the ingredients are already prepared. This is a very good healthy snack idea for kids since it has vegetables like carrot and capsicum in it. 1. First, heat some oil in a pan and add some mustard seeds and cumin seeds saute for some time. 2. Once the mustard seeds splutter, add the chopped onions and carrot and saute them thoroughly. 3. Now, add capsicum and some salt as required and saute for some time and then add tomatoes. 4. Add chat masala and saute for some time and then add tomato sauce or ketchup saute them thoroughly for about 5 minutes. 5. Now, the masala is ready, set this aside for some time until we prepare the bread. 7. Now, toast the bread slices with some butter as per your wish if required in the tawa on both sides and take it out. 8. 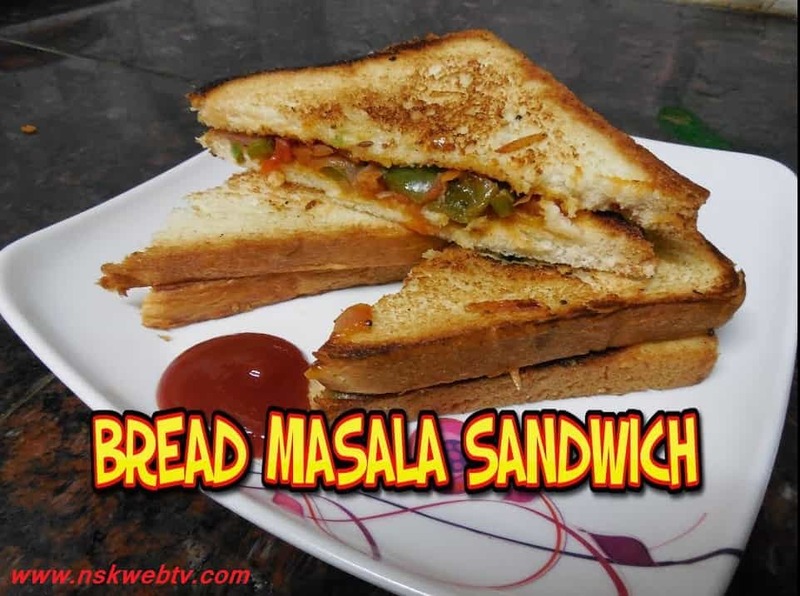 Now, apply the cooked vegetable masala on top of the toasted bread slices. Put on one bread slice and cover with another bread slice on top of it. 9. Now, serve the Masala Bread Toasts with some Tomato ketchup.